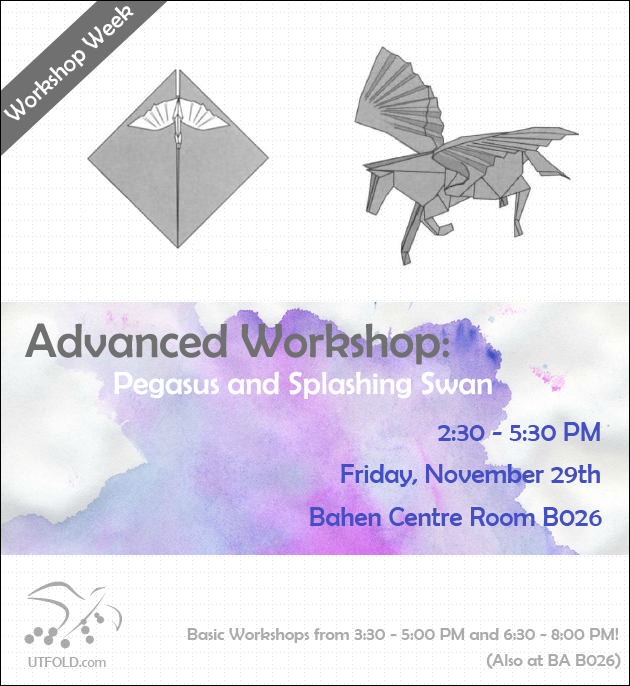 Vincent Rishea, our Advanced Workshop Coordinator, will be hosting another intermediate-advanced level workshop on Friday November 29th from 2:30p.m – 5:30p.m at BA B026 and 6:30p.m – 8p.m at Sussex Clubhouse (21 Sussex Ave) Room 532. He will be teaching Satoshi Kamiya’s Pegasus and Splashing Swan. 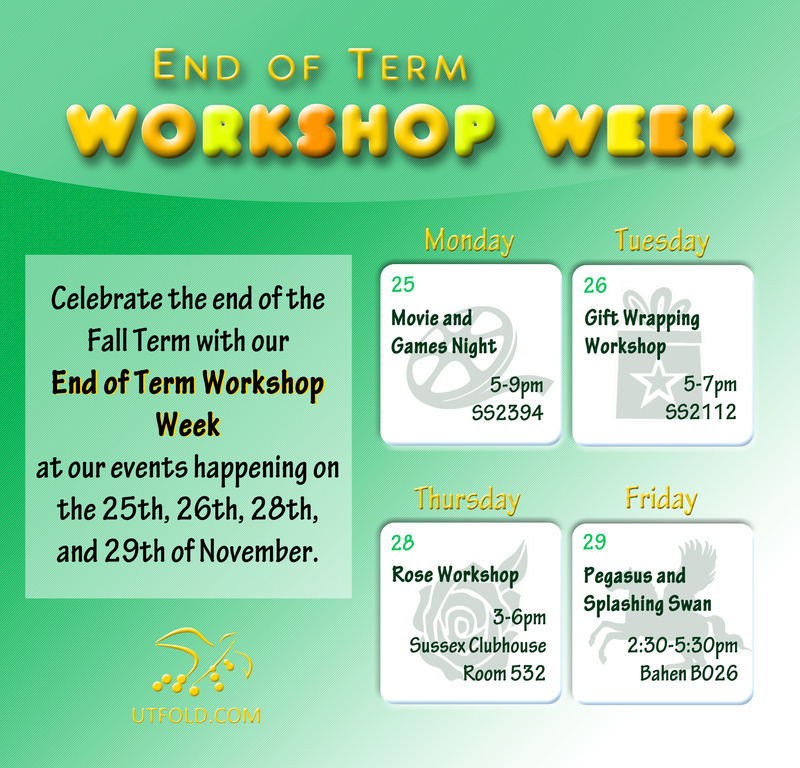 Also, President Qingda Hu will be teaching two Basic Folds Workshops as part of the Advanced Workshop: first one from 3:30p.m – 5p.m at BA B026 and the second one from 6:30p.m – 8p.m at Sussex Clubhouse (21 Sussex Ave) Room 532. See you all there!